By reading this article, you’ll learn how to create a Contentful-powered Flask app. You’ll also learn how to turn that Flask app into a static site using Frozen-Flask—and how to deploy it all to Surge.sh. Static sites are fast, lightweight and can be deployed almost everywhere for little or no money. Using a static site generator to turn your Flask app, with all its inner logic and dependencies, into a static site reduces the need for complex hosting environments. 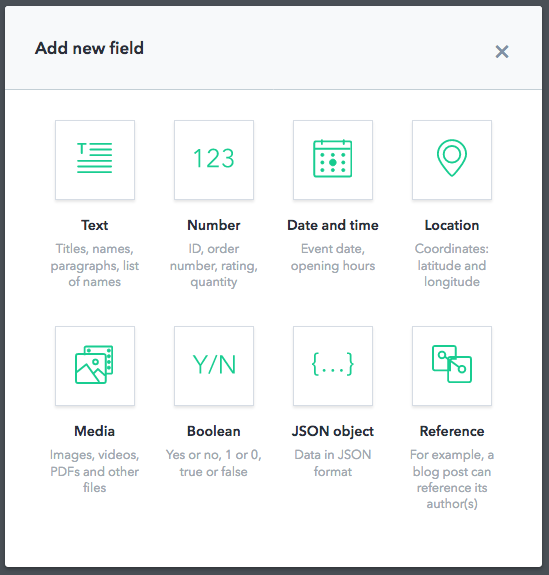 Contentful is content infrastructure for any digital project. 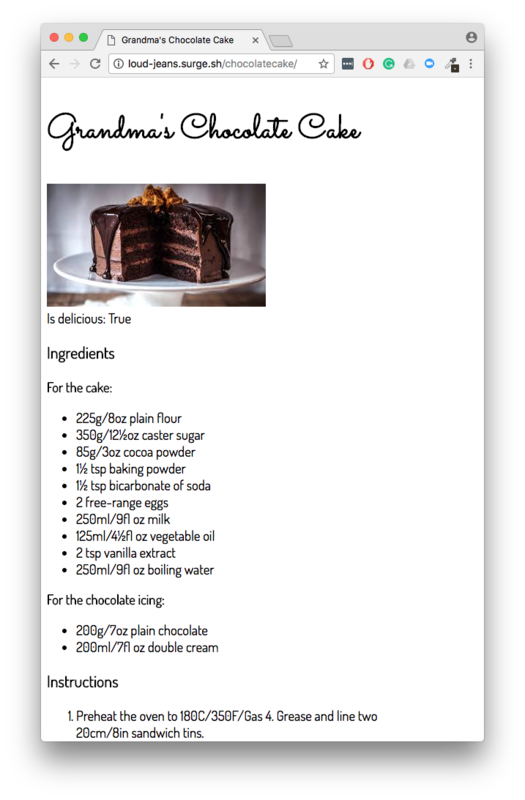 For our chocolate cake app this means that we’ll retrieve the recipe together with the list of ingredients from Contentful’s Content Delivery API (CDA). 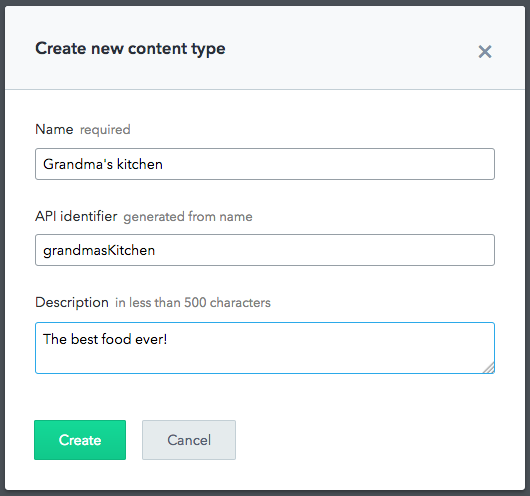 With Contentful, a content type is similar to a database table in that it defines what kind of data it can hold. 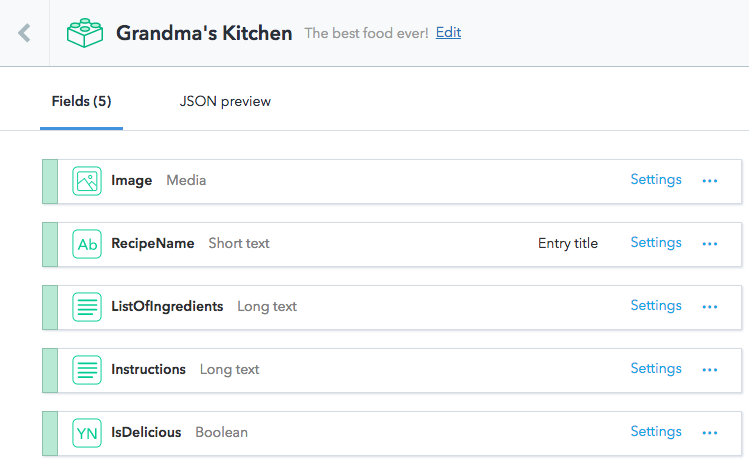 We’ll create the content type so that it can hold any recipe. Because truth be told, grandma also made some fantastic pancakes, and I would like to share that recipe too one day. 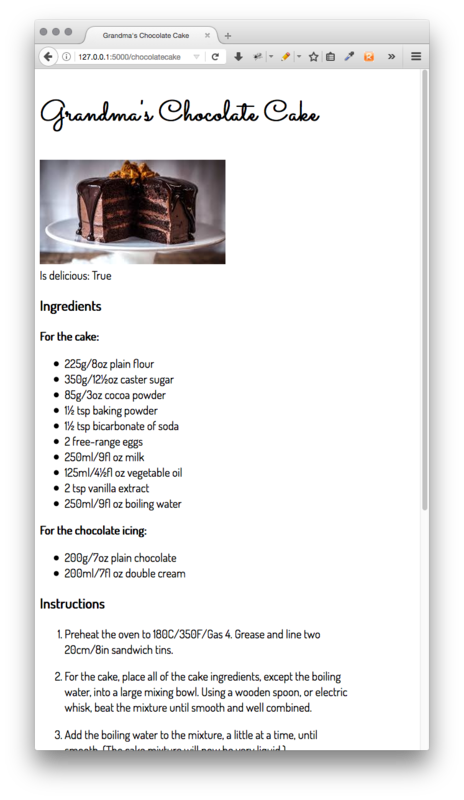 Now that we have our content type set up, we’ll go ahead and add our chocolate cake recipe. 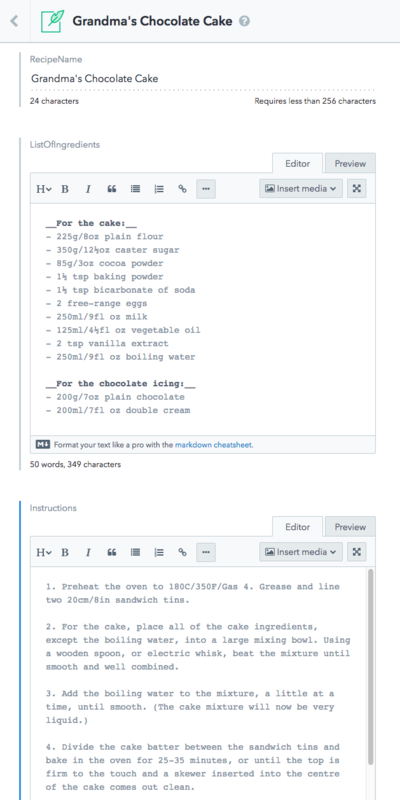 But we of course need a way to get our chocolate cake recipe data from the Contentful CDN and pass that data to the render_template function as a variable…..
To pull data from Contentful into Flask, you will need an access token to authorize your API calls. Note that the access token is personal so you need to generate your own to get things to work. We could stop here and just deploy our creation to Heroku or any other platform that can run Flask apps. But we want more—and we want it to be static. This is exactly what we want—HTML and styling. So let’s ship it! Run npm install --global surge to install the Surge and to create your free account. When you deploy a site using Surge.sh it generates the URL based on two random words — this time we got the words loud and jeans. So now all that’s left to do is to browse to http://loud-jeans.surge.sh/chocolatecake/ and make sure that static site version of grandma’s chocolate cake recipe deployed successfully. All it takes to create a static site from your Contentful-powered Flask app is Frozen-Flask. You get the best of both worlds by having both writers and editors working on the app’s content in Contentful, and then generating a static site that can be deployed almost anywhere. This workflow will save you both time and money: Your creative writers get access to a feature-rich editing platform within Contentful, and you get the chance to deploy a fast and lightweight static site for little or no money.